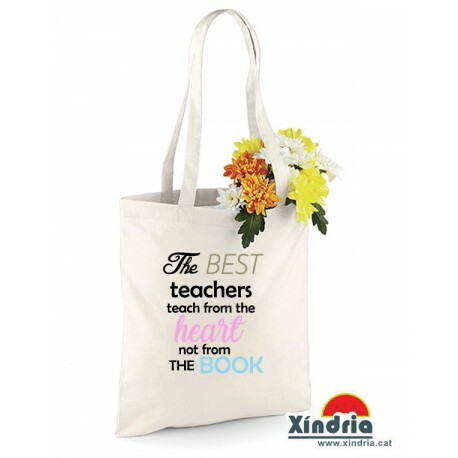 Tote bag The best teachers teach from the heart. Regal especial per mestres. 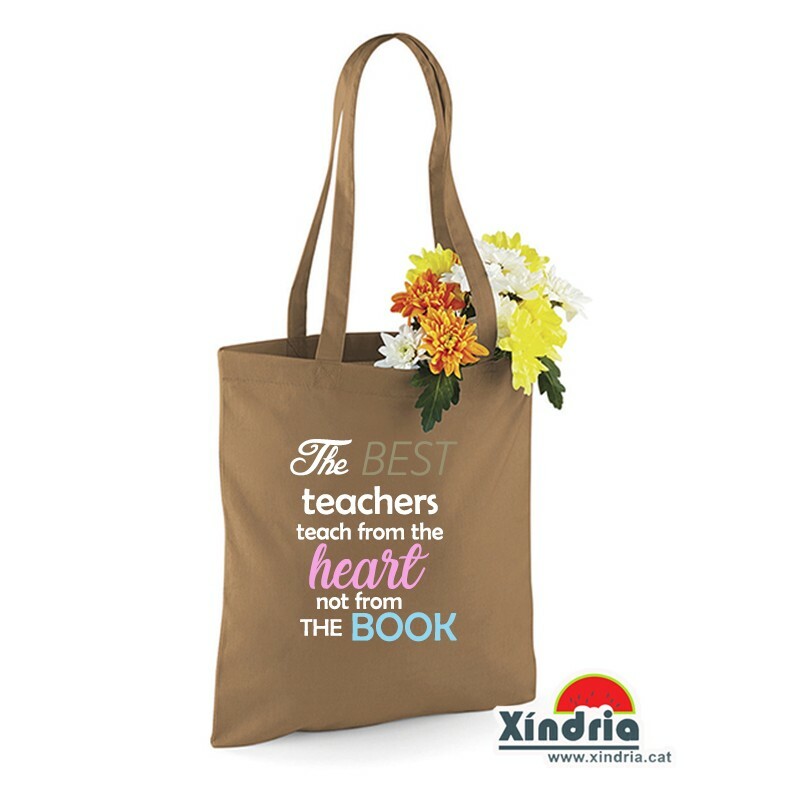 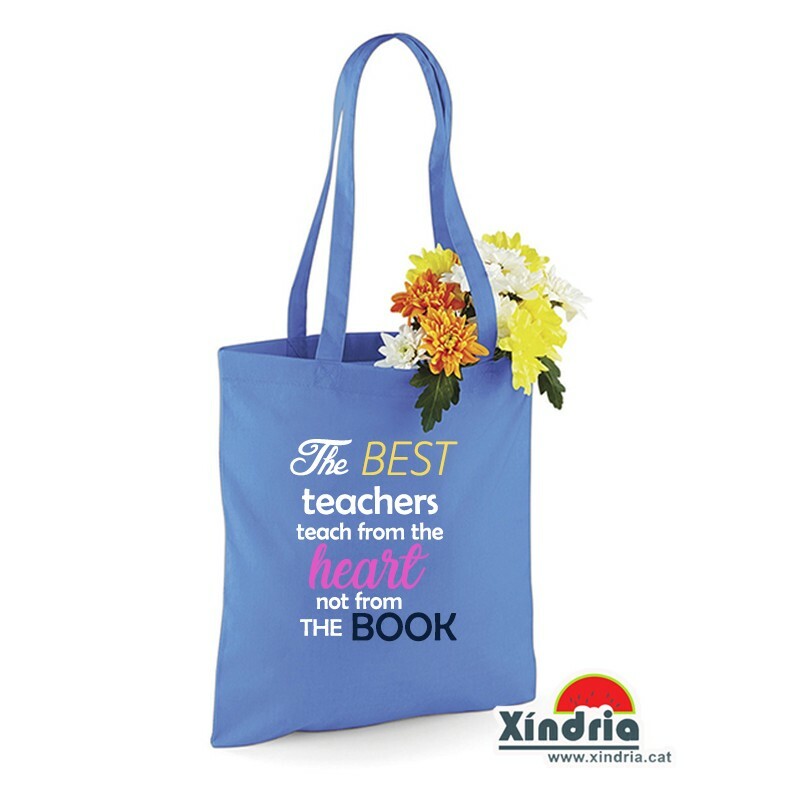 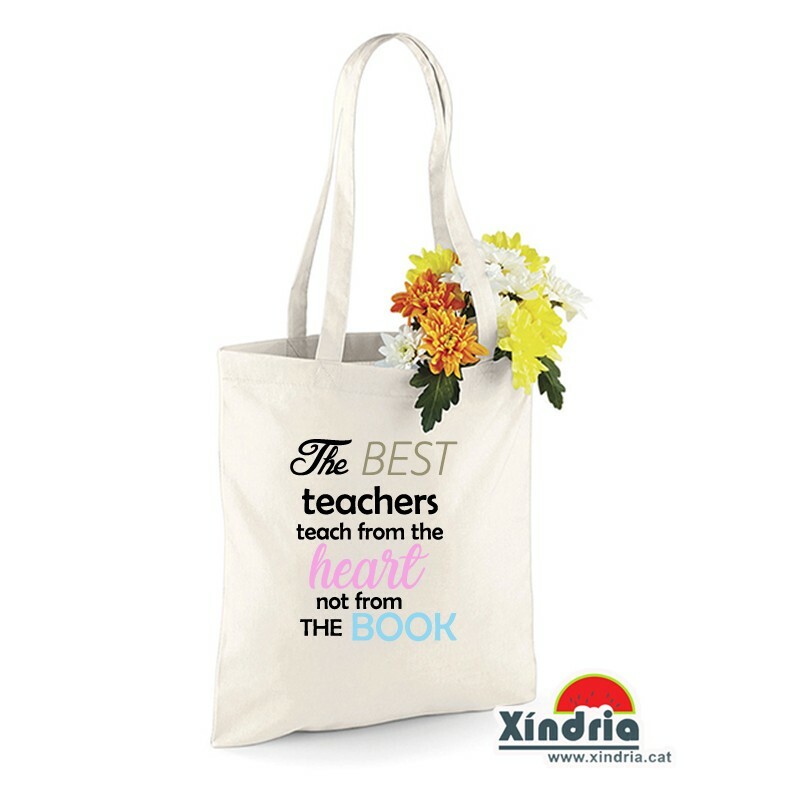 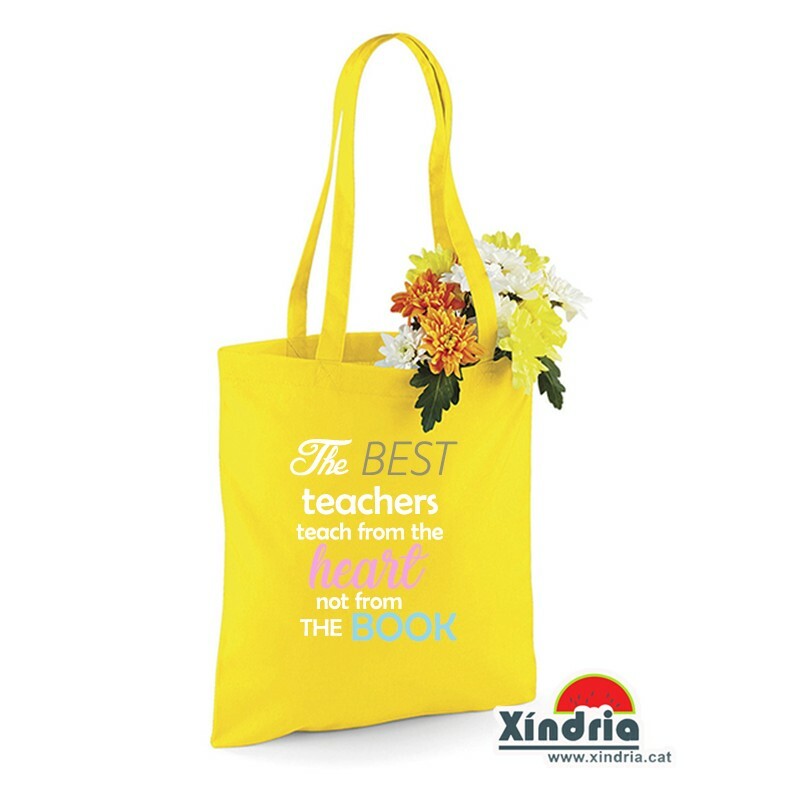 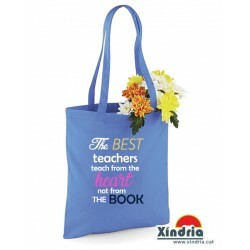 Tote bag de cotó de nanses llargues, amb la frase: The best teachers teach from the heart, not from the book.